My family was in for a surprise Saturday afternoon when we dropped by our favorite Curtis Hixon Waterfront Park in front of The Tampa Museum of Art. 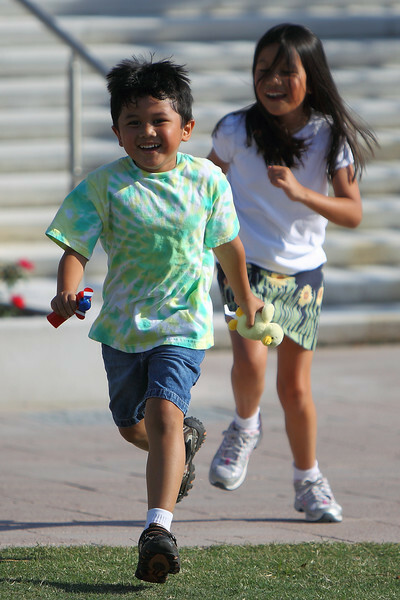 My kids were itching to run in the water features of the Tampa Bay Riverwalk like the last time we visited. 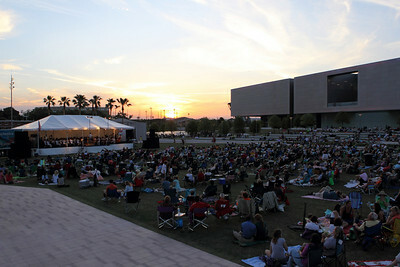 The Florida Orchestra was presenting their Pops In The Park Concert Series at the Curtis Hixon Waterfront Park. My family took the opportunity to kill two birds with one stone. The kids could play ball in the park and I could take pictures of the refreshing concert event for my PhotoBlog. Hooray!! 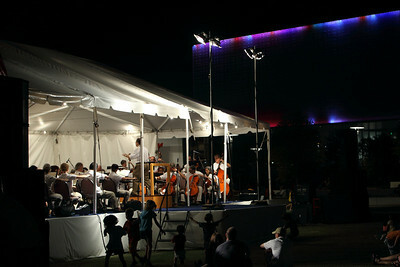 The musical presentation was blanketed by the Tampa Bay Riverwalk sunset and the LED light display of The Tampa Museum of Art. With Canon EOS 1D Mark IV in hand and a food vendor's yummy Kettle Korn in the other, I made dreamy twilight and night images of the relaxing affair. Sunset is truly the magic hour of photography. Beautiful warm glow followed by the ideal angle of light gives any image that extra special touch. The Kettle Korn helped out a lot also. My son running to be first in line to the Kettle Korn stand. He won. You can view more in the Pops In The Concert Photo and Video Gallery featuring the Canon EOS 1D Mark IV and the Canon EF 70-200mm f/2.8L IS version 1 lens. You can also see more in my Canon EOS 1D Mark IV Video and Image Test Gallery. It is jammed pack with more HD videos and full resolution images to pixel peep. Telecomfile supplies testimonials and also resources for its visitors. Create iTunes Account If you forgot your simply click Forgot password connect to obtain your password.